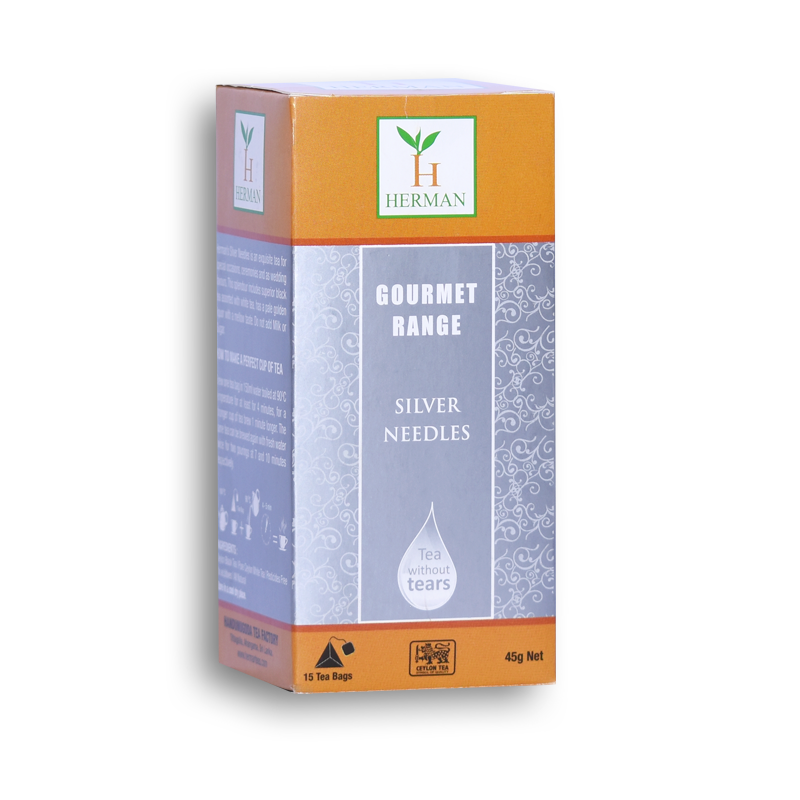 Herman’s Silver needles is a delicate White tea suitable after every meal to be in shape and keep fit. Premium white tea is handpicked and produced free from the bitterness of white tea and is consumed without Milk or Sugar. If preferred add Honey or slice of Lemon. This tea is made from the tender part of the tea leaves. This is used by Middle Eastern Royalty for weddings and special occasions. A very mellow light liquoring tea.